This track will address both the catastrophic potential of global annihilation and the unlimited resource potential for an industrial society for in-space manufacturing. 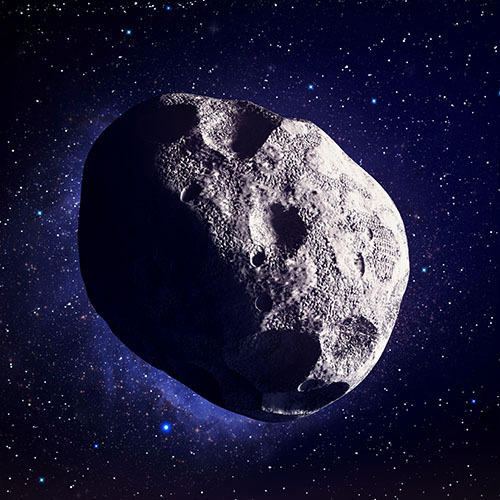 Near Earth Asteroids (NEAs) contain riches in abundance if we can tap them safely but also offer the potential of ending life as we know it on Earth if we do not learn to defend ourselves from potential impact events. This track will address the good, the bad, and the ugly of asteroids in our future. 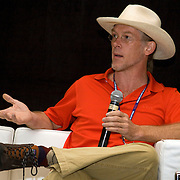 Brad R. Blair is a General Partner with NewSpace Analytics LLC in Idaho Springs, Colorado. He is a professional consultant on advanced mining technology, the economic use of space mineral resources, and the analysis and modeling of emerging space market opportunities. Brad holds degrees in Engineering Geology (B.Sc. 1989), Mining Engineering (M.E., 1993) and Mineral Economics (M.Sc., 2004) from Colorado School of Mines (CSM). He began researching lunar in-situ resource utilization (ISRU) technology in 1989 under NASA Space Exploration Initiative funding as a graduate student at CSM. During the summer of 1999, as a visiting professional at Doug Cooke’s NASA/JSC Exploration Office, he learned and practiced the art of cost estimation in support of a design reference mission for human Mars exploration. From 2001-2005, he and a small team at Colorado School of Mines conducted research for NASA on topics related to ISRU technology, cost estimation and space resource economic analysis. Since that time Brad has worked under US and Canadian government research contracts and consulted for aerospace and mining industry clients on ISRU systems development and economic analysis. He directly participated in two NASA centennial challenges, and he advises and participates in NewSpace startup companies. Previous nonprofit service includes: Member of the Board of Directors of United Societies in Space (USIS) since 2006; Chairman of the Board of the International Space Development Authority Corporation (ISDAC) since 2011; Advocate of the Space Frontier Foundation (SFF) since 2011.